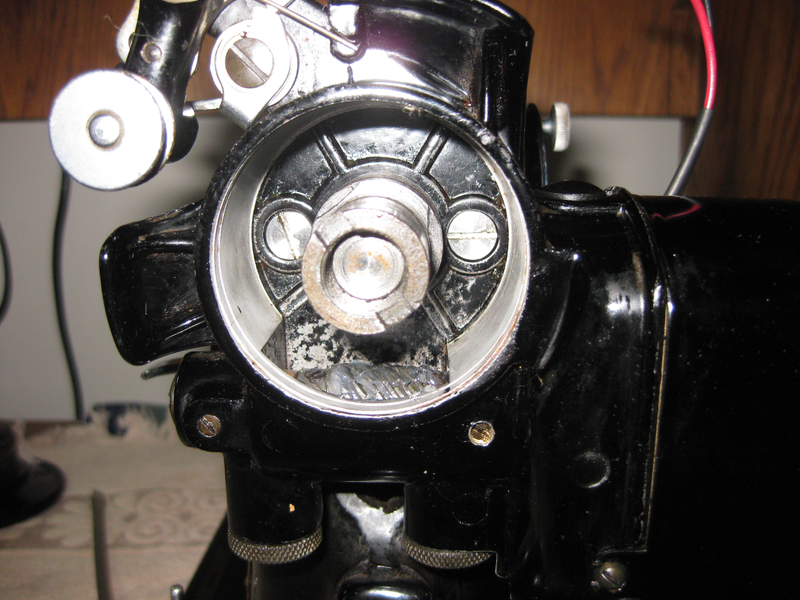 The reattached motor assembly. Just a dab of clean, new grease on the worm. Question. How has that worked out putting grease on the worm gear? I am going through a 201-2 and am a little concerned about the grease degrading the textolite gear on the hand wheel. Several years later, no sign of problems with my occasional use pattern, though I haven’t pulled the drive apart. That machine is lubricated entirely with simple pharmaceutical-market petroleum jelly for grease points and Tri-Flow TF21010 for oil points, both of which seem to be community-recommended as having no suspicious interactions, and I’ve had no lubrication-related problems.